As the Chesapeake Network turns 10 years old this year, we are looking forward to its future and actively planning for the next 10 years of development and growth. Here at the Alliance for the Chesapeake Bay along with our partners, the National Fish and Wildlife Foundation and the Chesapeake Bay Program, want to be sure that as the Chesapeake Network grows it continues to meet the needs and wants of our over 4,000 members. 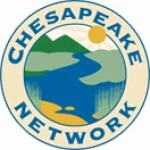 To this extent, we have created a quick survey to record and incorporate your feedback about the Chesapeake Network. Please take a moment to fill out this short survey. 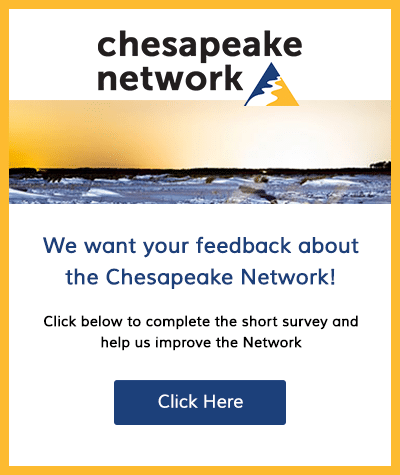 Your feedback is valuable to us and important towards the development of the Chesapeake Network as it continues to grow across the Chesapeake Bay watershed!